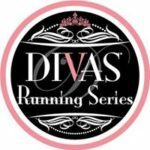 The Divas Running Series is the most fun and glam women's running series in the nation. This series is all about girl power. Get glam at one of our races while enjoying a great run in some of the country's best vacation destinations: Long Island, NY, San Juan, PR, San Francisco Bay, CA, Temecula, CA, DC's Wine Country, VA, North Myrtle Beach, SC, Galveston, TX, Peachtree City, GA, Florida West Coast at Punta Gorda, FL, Calgary, Canada and Toronto Island, Canada.